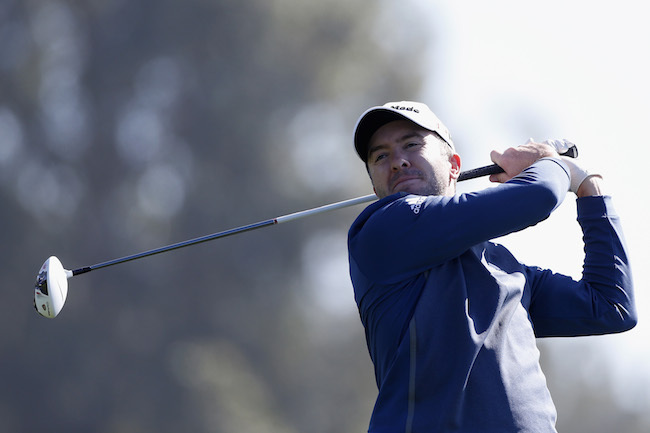 • "I'd take four-under on this course any day"
Martin Laird shot a round of 68 on day one of the Farmers Insurance Open as he looks to respond following a late slip-up last week. The 32-year-old Glaswegian finished bogey-double bogey, handing Brooks Koepka his maiden PGA Tour title, but made a solid start yesterday and is four shots behind first round leader Nicholas Thompson, who is on eight-under. Laird recorded the second lowest round of the day on the tough Torrey Pines South Course, bettered only by Jhonattan Vegas, and was pleased with his performance after falling at the final hurdle at the Waste Management Open in Phoenix. “Last week was last week. I made one bad swing and I had a bad time and that was that. The rest of the tournament I played great, I putted great and everything in my game feels pretty good,” Martin Laird said. "Any time you make three birdies in a row on the South Course you’re happy"
Martin Laird began his round on the tenth hole and made consecutive birdies on holes 16, 17 and 18 which pleased the Scot and gave him a platform to build on for the remainder of the day. Martin Laird switches over to the North Course later today and tees off on the first hole at 10.20am local time (5.20pm UK time) alongside Stewart Cink and Retief Goosen.